This time of year is busy for me; just like all of you are I am sure. I don’t about you, but sometimes I am not sure if I am coming or going. 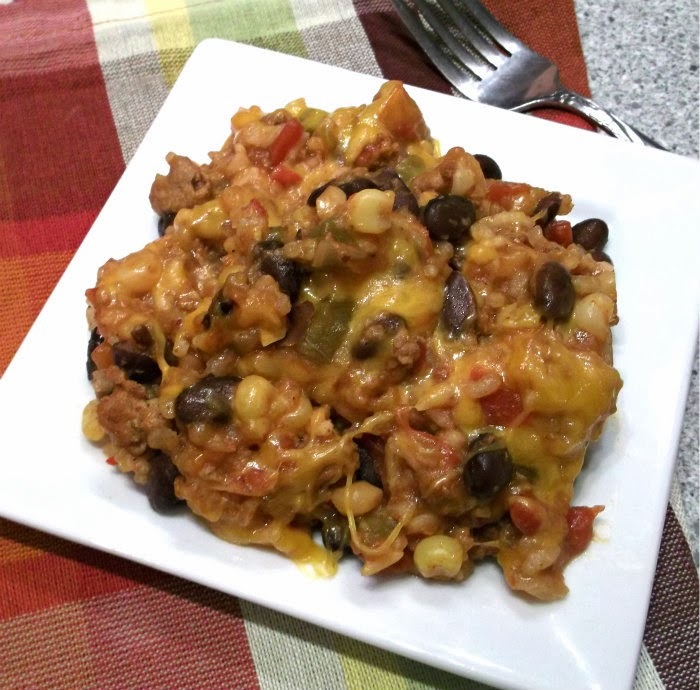 So it’s so nice to have recipes like this Crock Pot Mexican Casserole. My guys in the house love these types of casseroles for their flavor and I love that they don’t take a lot of effort. 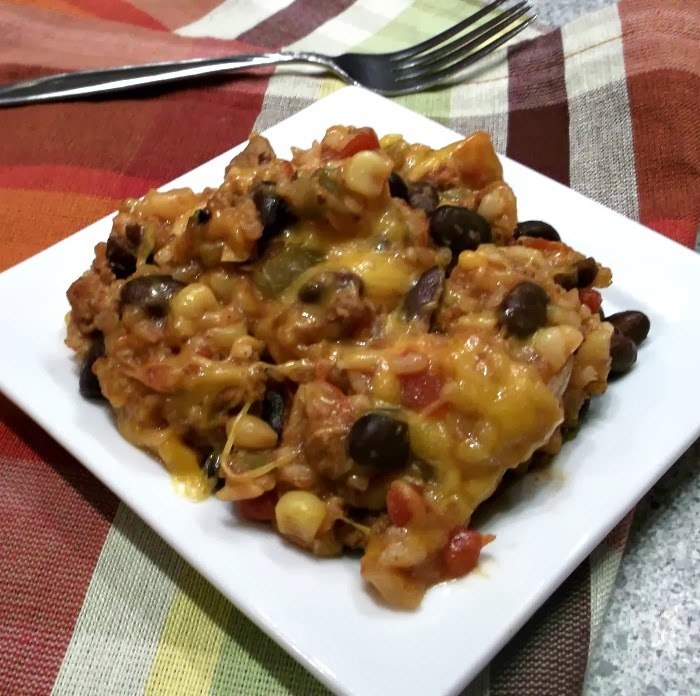 This casserole replaces the ground beef that you usually find in a dish of this sort and uses ground turkey in its place. You will also find beans (you can choose which type of beans for this dish, I chose black beans), corn, salsa, and a whole lot of flavor in this dish. 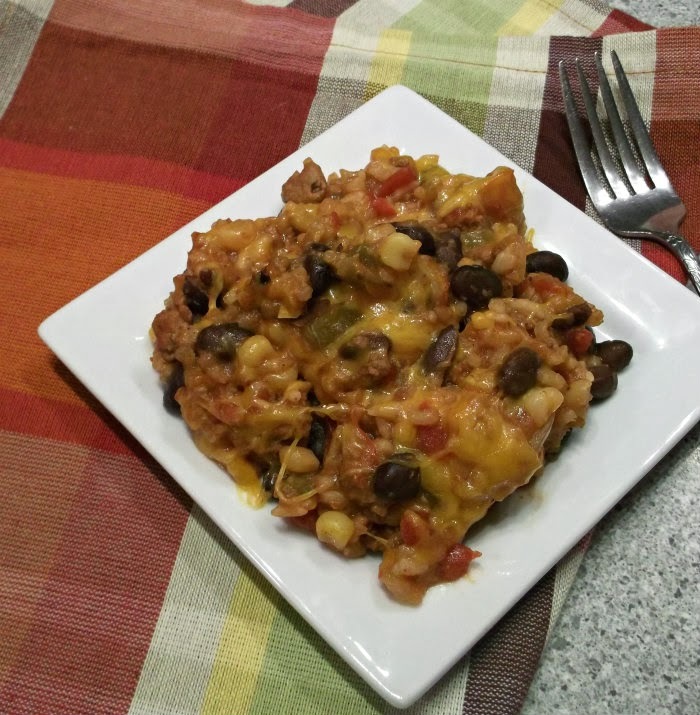 So if you are rushing around and need a tasty meal I hope that you think about trying this crock pot casserole. Serve it with a side salad and tortilla chips and you are set to go. 1. On the stovetop brown the turkey along with the onion and garlic, cook until the turkey is completely browned. 2. Transferred the brown turkey to the crock pot. Add the corn, beans, salsa, tomatoes and chilies and rice, cumin, salt, and pepper. Stir until all ingredients are well blended. 3. Add the broth stir again until well blended. 4. Cook on low for 6 hours or until rice is tender. Before serving sprinkle the cheddar cheese over top and place the cover back on, heat until cheese is melted. Serve with tortilla chips. sounds good to me! I know this would go over really well with the.boy! I didn’t even have a crockpot until just a few years ago. Now I use it more and more in the winter and am always looking for new things to try. This sounds like something the whole family would love. One definitely needs nice, easy dishes like this when life gets hectic (like right now!). This looks wonderful – thanks.